Winfred was born to a single mother as one of five children. Unfortunately, her mother was not able to provide for her children’s basic needs, so she and her siblings went to live at children’s home. Here, Winfred and her siblings were able to grow up in relative stability; however, the children’s home was unable to send everyone to school. 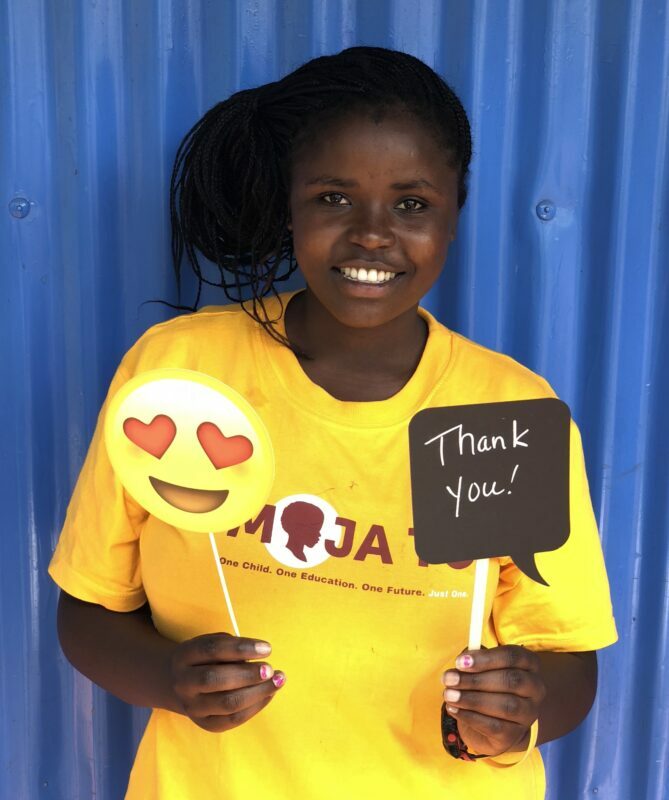 Luckily, Winfred was able to join Moja Tu’s first class of students in 2013. Over the past six years, we have watched her blossom from a shy girl into a confident young woman ready to take the next step in her education: getting her diploma. Winfred took her KCSE (Kenya Certificate of Secondary Education) exams at the end of 2018. Her scores qualified her to apply for a diploma course, which she will begin later this year. Winfred’s lifelong dream has been to become a doctor, and getting her diploma is just the first step in making this dream a reality. She has overcome the odds time and time again, and is determined to see her education through all the way to the end. Help this strong young woman continue to defy the odds by sponsoring her today!